There are more high-profile players at RB Leipzig, those who gain the headlines for their goalscoring exploits or ability to provide the killer pass. However, captain Willi Orban's contribution to the cause can be just as vital. In an exclusive interview with bundesliga.com, the imposing defender talks personal goals and gives plenty of insight into teammates Timo Werner, Naby Keita and Dayot Upamecano. bundesliga.com: Recent results at Leipzig have been mixed. Has competing in Europe this season taken its toll? Willi Orban: When there are sometimes only two days break between matches it might well be that the physical and mental freshness is not quite there at a certain point in the season. But this is a learning process for us in terms of that double 'burden' [of competing domestically and in Europe]. We were always aware that this could happen. bundesliga.com: You seemed to have a clear idea in terms of your career trajectory from a very early age. Orban: That's right. I knew exactly what I wanted early on. When you are 16 or 17, there are so many external influences tugging at you but it's so important that you stay focused. That's how I was. In fact, I think that all of the young players in the Bundesliga have this mentality, otherwise you wouldn't make it in this tough business. bundesliga.com: What makes a good captain? Orban: First and foremost, that one performs well on a consistent basis. Helping things run smoothly within the team is also important, as is providing a link between the coaching staff and the players. Each captain has his own way of doing things. I am really happy I can fulfil this role here. bundesliga.com: Tell us something about this partnership between you and France's Dayot Upamecano in the centre of the Leipzig defence. Orban: It's great! Dayot understands German very well as he has been playing in German-speaking countries since 2015. You can see that we have become more solid at the back compared to the first-half of the season and that we now have good harmony. We commonly rotate in the full-back positions while in the centre it's a more consistent selection. bundesliga.com: Leipzig sporting director Ralf Rangnick reckons Upamecano could be one of the best defenders of all time. Orban: Without a doubt, Dayot has the qualities to become a very good player. Physically, he has all the attributes to be top level. He certainly still has more to learn in a few areas. bundesliga.com: How has Naby Keita handled his transfer to Liverpool and how has it affected team spirit? Orban: It's great that Naby has clarity in terms of the decision, both for him and everyone else involved. 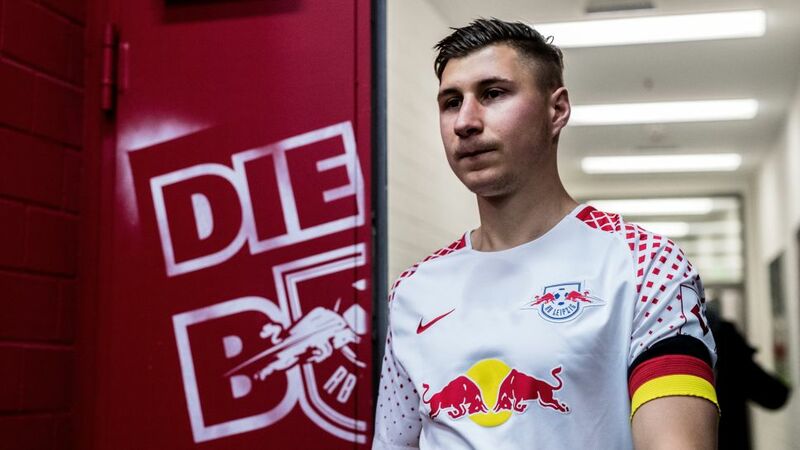 He will give everything to Leipzig [while still here], which is important as both sides can then part with a very good feeling. Naby had a great year here with us last season and he deserves his move. bundesliga.com: Striker Timo Werner not only shoulders a lot of responsibility at Leipzig, but also with Germany. How does he deal with that? Orban: Timo is very professional. He has made a monumental leap, not just in footballing terms, but also in terms of his personality. In my opinion, as he is now in the public eye a lot, he's grown as a person. He is full of hope and expectation, especially in terms of the World Cup. bundesliga.com: Is Timo the best German striker right now? Orban: Who might be the best in this or that position is something you will never hear me speculate on. Every player is different and Timo Werner on his own can't win anything. He needs passes from a strong midfield to produce his qualities. That those qualities are outstanding and that he is an exceptional player is unquestionable. bundesliga.com: And what about your international future? Does that lie with Germany, Hungary or Poland? Orban: I'm not worried about that at the moment. There is no time limit to make a decision, which allows me to just focus on succeeding at RB Leipzig. Of course I will eventually decide, but all options remain open.